I’d go for anything by Imagine Dragons. Probably one of their latest songs. 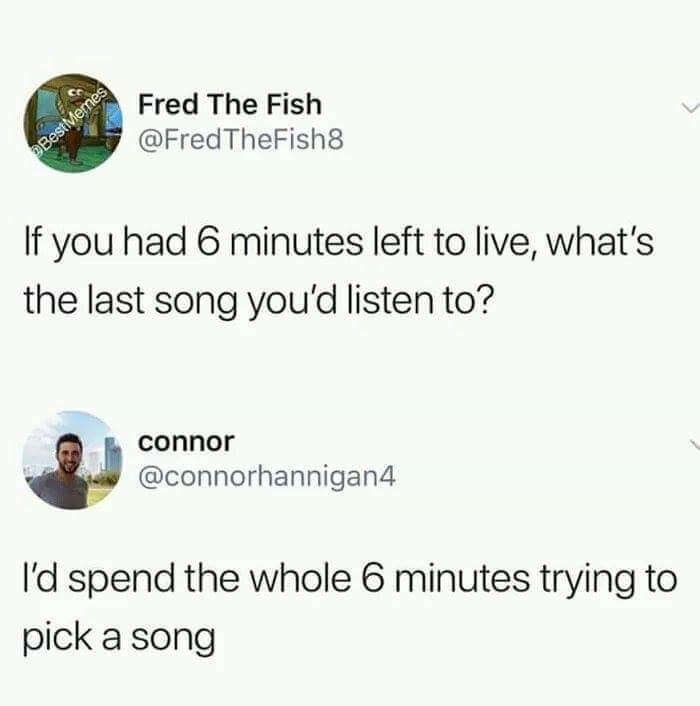 I’d probably ppick a song that’s 6 mins 2 seconds….. It depends on the moment. Right now this is what I’d like to hear on my way out. Not crazy about the video, but I really like this duet.